Last week, I wrote about live streaming and video marketing. Right after that, I went off for a short, well-deserved holiday with my family. Of course, being an entrepreneur myself, the holiday was another test for me. You see, I was devoted to ‘remove’ myself from social media for the whole duration of my holiday. Instead of replying posts and scheduling, I went ahead with video marketing. But I wasn’t marketing anything on video. I was just uploading videos of my family and me mainly on Instagram. The results were crazy (which I will share more on this shortly). What do you need to know about video marketing? The important tip here is to understand that the video marketing strategy is very competitive. People are doing whatever it takes to gain the attention they always wanted. So, how do you stand above the crowd? How do you be above the noise and get noticed? The first step is being real. 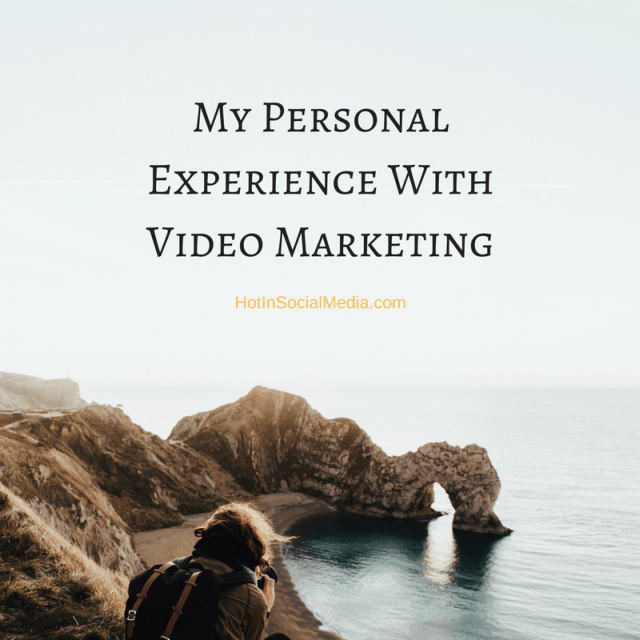 Throughout my time with video marketing, I noticed that videos that involve my family members often hit skyrocket, compared to those I typically use for marketing. The first thing is being real. This means that I publish videos that are raw and not edited in any way. It is just me, my family and nothing in between. As I uploaded my videos via Instagram and shared across other social media platforms, I did not use any filters. Moral of the story for this is that being real is beyond critical. Forget about makeup and perfecting your videos. At times, you just want to showcase your true side. Here’s another takeaway: video marketing shouldn’t be entirely about marketing. Just like the above point, what is the fact that you use video solely to promote yourself? Why don’t use video to showcase what you truly are? When you do this, it allows your audience to understand who you are and how you can resonate with them. Before that, they might consider you as the top tier or someone which is hard to reach. However, when they see your other side, they will understand that you are a mere human, just like them! This actually allows them to reach out to you and even possibility of business in the future. I received a message on Instagram through someone I recently connected. He saw my video and decided to collaborate with me! Now, does this make any sense to you? You probably heard about this zillion times now. Publishing your videos at the right time is always crucial. When you publish at the right time, you are definitely going to reach a larger group of the audience than times that aren’t ideal. At the same time, something to consider is that when you share a video, avoid working hours. The simple idea behind this is because your audience is definitely not going to turn on the audio when they watch the video. Unless you have the caption on, it is pretty much not possible for them to understand what you are trying to convey to them. Typically, I noticed video works best at night as that’s when people are often turning on their audio and sound. However, if you have an audience which is around the world, you can still publish the video at times that best fit you. When it comes to video marketing, I find that the length of the video is critical. In this case, people are very often willing to see a video that is short but again, not entirely short like a few seconds. For this matter, I find that Instagram video frame is very powerful. Now, you can upload a lot more videos, and the trick here is to create a story. When you can create a story behind the video, you are definitely going to get a lot of heads turning. Always remember that people are very visual-minded. In this case, you should always focus on sharing a video that attracts them instantly. Typically, always share something that is absolutely captivating the first few seconds to ensure that they are constantly hooked up with! If you are using Snapchat or Instagram Stories, you have very limited choices especially when it comes to uploading videos. These videos must be short and precise for the matter. However, if you are using Facebook Live or YouTube, you can easily increase the length of the video to make it even more informative (or fun). When I uploaded videos of my holiday, I noticed that Instagram is constantly sending me many notifications on the number of views. Of course, this is good! So, how can you leverage on this? The active times are often from 9 pm to 3 am. Now, what does this means to you? Well, a lot — to be honest. This form of statistics allow me to understand my audience more and it helps especially when creating a persona. This means that instead of creating content for everyone, I could create content focusing on male, age 25 to 34 and probably from the United States. Furthermore, I can publish content from 9 pm to 3 am daily (scheduling) to ensure that I am reaching out to them! Video marketing trend is growing rapidly. At times, it is very daunting and horrific because we need to keep following the trend. However, if you want to be successful in video marketing, there are many things you need to do to ensure that you are constantly following the trends. I hope that you find this post very personal and useful. Feel free to leave a comment and tell me what you think about this topic!